Your favorite Skelanimal plush are back, this time measuring approximately 6-inches tall! 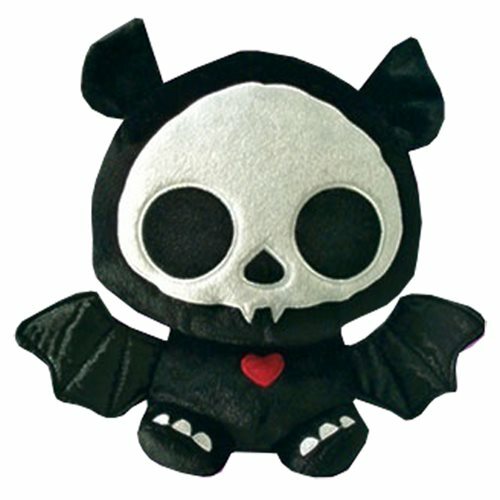 The Skelanimals Diego (Bat) Deluxe 6-Inch Plush is made of super-soft plush fabric with the trademark Skelanimals bone pattern. Choose your favorite or collect them all (sold separately). Ages 13 and up.